We take great pride in ensuring the protection of the Parliament of Canada. Thousands of people are expected on #ParliamentHill today due to a planned demonstration. We encourage everyone to remain vigilant and to be aware of their surroundings at all times. Today, we welcome our newest cohort of protection officers. Well done! Hundreds of people are expected on #ParliamentHill today due to a planned demonstration. We encourage everyone to remain vigilant and to be aware of their surroundings at all times. To report an emergency, crime in progress or suspicious activity, please call 613-992-7000 or 911. We encourage everyone to remain vigilant and to be aware of their surroundings at all times. 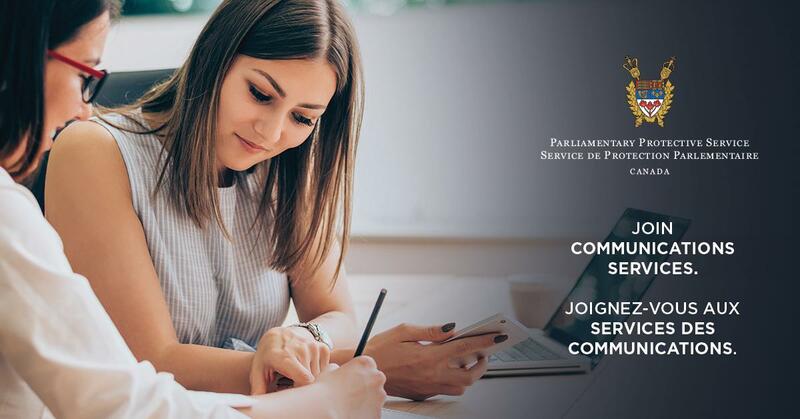 Parliamentarians and parliamentary employees are encouraged to refer to the Parliament of Canada Emergency Procedures and Safeguards manual. Visitors wishing to gain access to the Parliament Buildings are subject to a security screening process. Visitors are advised to arrive early to account for possible delays. Business visitors must present valid government-issued photo identification. The security screening process is conducted by Parliamentary Protective Service detection specialists. For questions related to access to the Parliament Buildings, please call 613-995-4300 (option 3). All vehicles wishing to gain access to Parliament Hill must undergo a security screening process at the Vehicle Screening Facility located at Bank Street and Vittoria Street. Vehicle occupants must be prepared to display valid government-issued photo identification or valid parliamentary accreditation. Vehicles must be pre-registered with the Senate of Canada at 613-992-9265 or the House of Commons at 613-943-4300. There is no public parking on Parliament Hill or at the Senate of Canada Building. Visitors are not permitted to enter the Parliament Buildings with prohibited items including self-defense spray, knives, firearms, ammunition, electroshock weapons, narcotics and controlled substances. Restricted items such as alcohol, aerosols, sharp objects, selfie sticks, sports equipment and restraining devices, will be withheld from visitors for the duration of their visit. Bag size restriction in effect. Non-business visitors are not permitted to enter the Parliament Buildings with bags exceeding the size of 35.5 cm x 30.5 cm x 19 cm (14 in x 12 in x 7.5 in). You must obtain a permit to use Parliament Hill for specific activities, such as holding a public event. Complete the application form and submit it to the Committee on the Use of Parliament Hill. The Committee on the Use of Parliament Hill reserves the right to change the conditions included in your permit at any time and without prior notice. It can also cancel all activities for security reasons. Centre Block is closed for rehabilitation. Click to see map of new building locations. The airspace over Parliament Hill is a no-fly zone. Recreational drones are strictly prohibited. Parliament Hill and the area within a 0.35-mile (within 560 meters) radius is restricted airspace area (CYR537). Prior to entering restricted area CYR537, all commercial drone (UAV) users must seek permission from the Parliamentary Protective Service. For more information about the physical coordinates of airspace CYR537, please consult the Class F Airspace section in the Designated Airspace Handbook. For general inquiries, please contact us by email or phone. Use our online form if you would like to share a compliment or submit a complaint regarding parliamentary security.